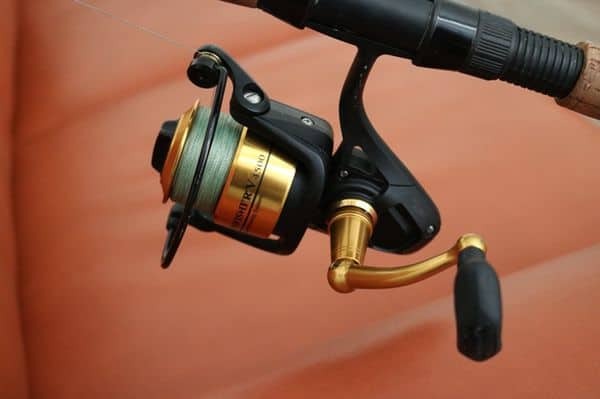 Built to handle most of the saltwater battles with some of the fish, the Penn Spinfisher V is believed to be one of the best spinning reels on the market. It is also one of PENN’s pillar reels in their long-standing legacy of spinning reels. 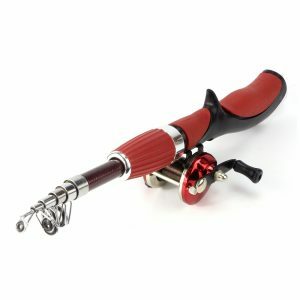 being one of the best reels for saltwater fishing, at Top Fishing Gear, we’re happy to bring you a comprehensive Penn Spinfisher V review. When the Penn Spinfisher V was launched, the anticipation amongst the angler’s community was at its highest level. All the specifications, action video clips, and features sparked many discussions in forums around the net. For this Penn Spinfisher V review, we will focus on the Penn Spinfisher V 4500 model. This open face reel has 11 different sizes. That many options can really help to optimize your fishing by helping you to pick the one that suits your individual needs and intentions. A lot of reel companies make offshore spinning reels that offer only a few models or model that don’t differ much from each other. Luckily, Penn is not one of them. Normally we list all of the different versions and discuss each one. The Penn Spinfisher V has so many of them available that it would not make sense to break each one down. These models go from 3500, 4500, 5500, 6500 all the way up to the final version, size of 10500. The Penn Spinfisher V 6500 is one of the more popular Penn Reels you will find on the market. Where models start will tell us the real story of the Penn Spinfisher V. Made a big game reel in order to fight against deep sea fish like tuna and marlins. Of course, each model has bigger maximum drag and line capacity than previous models. These models get solidly bigger and heavier and their drag ratio drops accordingly. That means the higher the versions get, the more suitable they are for heavier and bigger baits that are aimed towards those bigger beasts. That is the reason why the strongest and heaviest reel model SSV10500 weighs approximately 40 oz. It is built to withstand even the biggest monsters that nature can throw at the fisher. Of course with each model size increase, the price will get higher. 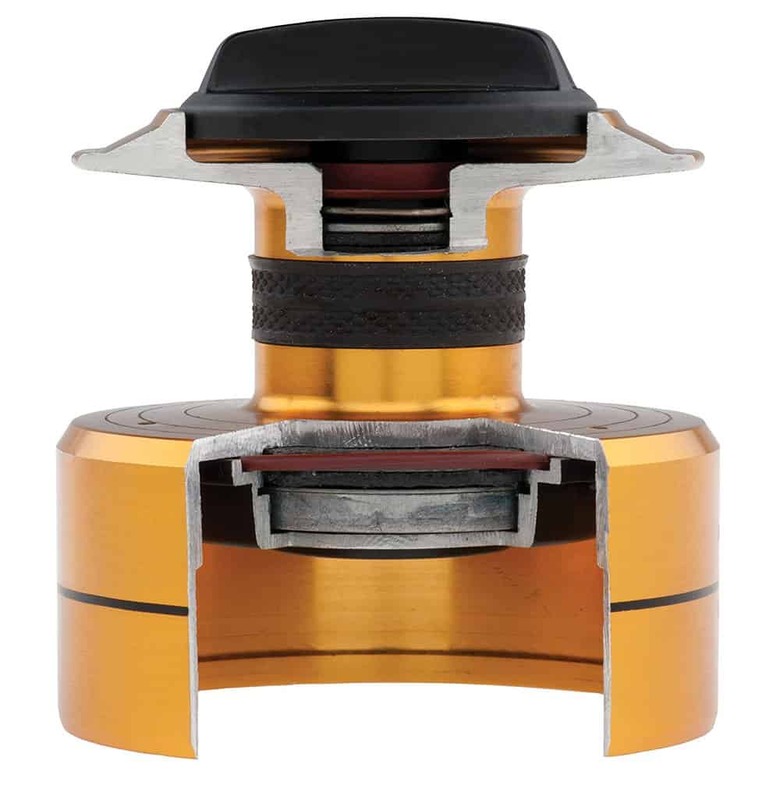 This is expected as these reels get progressively stronger and heavier. Penn’s main mission when developing the fifth version of Spinfisher V was most definitely making it last as long as possible This is especially true in destroying environments like saltwater. Penn has really done a great job in this case of producing an unbelievably durable reel. Penn’s unique Water Tight Design which has 6 (9 in live liner(LL) versions) seals that keep the corrosive saltwater away from gearbox and drag system. The drag system is sealed with 3 HT-100 drag washers. This reel will handle saltwater without any problems, even after the longest days you spend out on the water. This sealed construction build is the trademark feature of Penn Spinfisher V.
No mono or fluorocarbon backing is needed because the rubber gasket keeps the Superline from slipping. That makes filling the spool much easier and faster. Reel line lay is stunningly even. Even more expensive reels lack this precise line lay. This you will notice right away on how many lines you have left in the spool even while you are busy battling with fish. Different rings will let you know when you have 1/3 or 2/3 of line left on the spool. This feature is a great help when you’re focused on landing that possible trophy. Five high quality shielded bearings help to keep the Spinfisher working as smooth as possible. 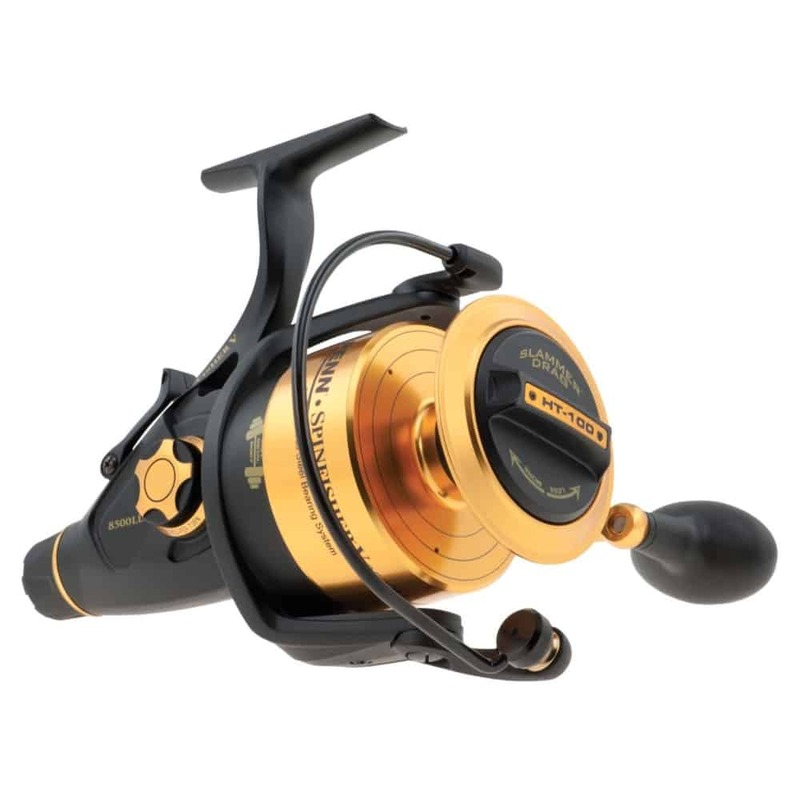 It is quite clear that the Penn Spinfisher V 4500 is one of the best spinning reels on the market. Penn has a vast array of models. Some models are suited for that newbie beginner just getting their feet wet. Others are better for the more experienced anglers or for more different fishing techniques. 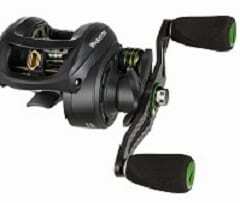 Some versions actually have baitrunner system built right in, similar to the Okuma ABF. One thing is for sure. Every single model shares the same main principle- they are all made to last a lifetime of fishing. It is almost impossible to find another reel that is so resistant to saltwater or another reel that is meant to last for so long. One negative point, if there are any, is that the Penn Spinfisher V does not perform as great on some other reels in its class. The performance is a secondary factor in this reel. 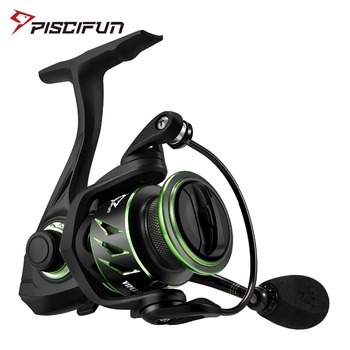 Experienced fishers do not buy a Penn Spinfisher V because it has the all-time best drag system, smoothest reel or allows you to last longer than any other reels. Rest assured the Penn Spinfisher V performs respectably in all of those categories but would not get top honors for them individually. The main selling point that the Penn Spinfisher V is probably connected to its durability and strength. 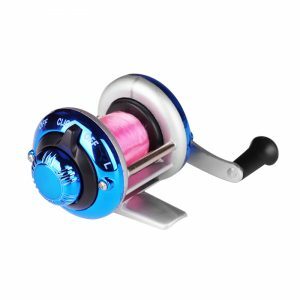 One of the strongest spinning reels on the market, it is aimed towards offshore anglers who are looking for a reel that despite wear and tear can do the job and last for a long time. 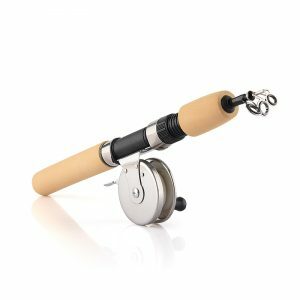 The Penn Spinfisher V may not be the spinning reel you want if you are a hobby fisher. Investing in a durable spinning reel for saltwater fishing is what the Spinfisher V offers. If you require something that is proven to last then the Penn Spinfisher V reel is the way to go. However, if you feel like you need something gentler and…a little easier on the budget, you might want to check out the Penn Battle II. See the latest on the Penn Spinfisher V Spinning Reel.